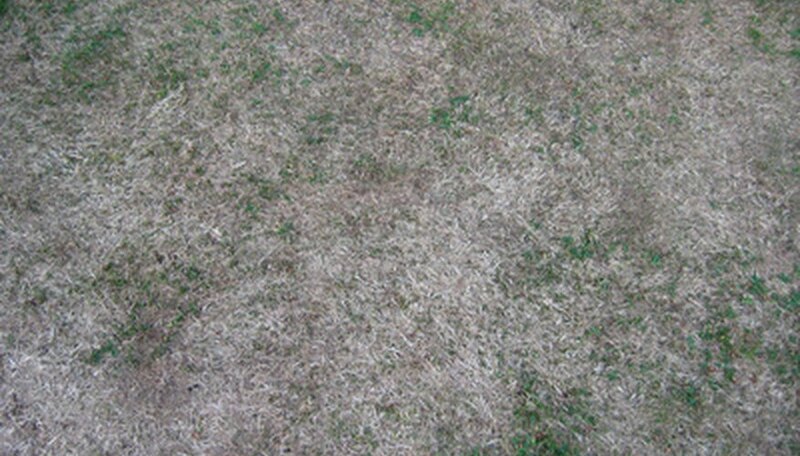 Sometimes, between disease and neglect, a lawn can get in such bad shape, total renovation is the only solution. Or you might not like the variety of grass growing in your lawn and want to remove it. Using Roundup to kill the existing lawn will assure its death right down to the roots. It will also save you from having to do some backbreaking work digging it out alive. Roundup contains glyphosate, a broad-spectrum herbicide that will kill the grass as well as anything accidentally sprayed. Consider the new variety of grass you will be using in your lawn renovation. Schedule the herbicide spraying at the appropriate planting time of the replacement grass. Warm-season grasses typically are planted spring through summer and cool-season grasses during the early season of fall. Select the appropriate Roundup product that will work best for your particular situation. Roundup suggests using Roundup Weed & Grass Killer Ready-to-use, Roundup Weed & Grass Killer Concentrate Plus, or Roundup Weed & Grass Killer Super Concentrate. They all are designed for killing lawn grasses and will not affect the soil long-term. Water the lawn 24 hours before spraying the Roundup. This allows the grass to “plump up,” leaving a larger area for the herbicide to stick to. After watering, turn off all sprinklers to the lawn area and leave them off until planting the new grass. Mix the Roundup in a pump-up sprayer, according to the directions, if you are not using the ready-to-use variety. Adjust the spray nozzle to the appropriate spray width by test spraying on concrete. Apply the Roundup on a sunny, non-windy day and first thing in the morning. This will assure the herbicide does not accidentally blow on the surrounding foliage. Spraying first thing in the morning allows the product to fully dry on the leaf blades and work quicker due to longer exposure to the heat and sun. Spray the Roundup on the lawn saturating the leaf blades, being careful not to spray other vegetation in the area. Reapply the herbicide to the area in two days. Wait another two days and apply the Roundup again to any areas still green. Remove the old lawn when the blades have turned brown and are dead. You should start visibly seeing the grass beginning to die in approximately 24 hours, but it may take up to two weeks for complete death. Wait two weeks after the application of the Roundup before reseeding or laying sod in the area. Pets and humans can walk on the lawn safely after the Roundup fully dries on the grass in approximately two hours.